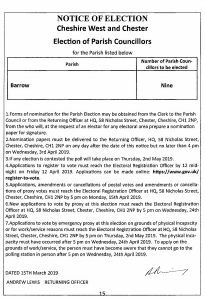 Elections to Barrow Parish Council and Cheshire West and Chester Council will be held on 2nd May. The Parish Council has 9 members and elections are held every 4 years. Nominations must be delivered to the Returning Officer by no later than 4pm on Wednesday 3rd April. Deadline to register to vote 12th April. Deadline to apply for a postalvote is 5pm on 15th April. Deadline to apply for a proxy vote is 5pm on 24th April. The notice of the election is shown below. 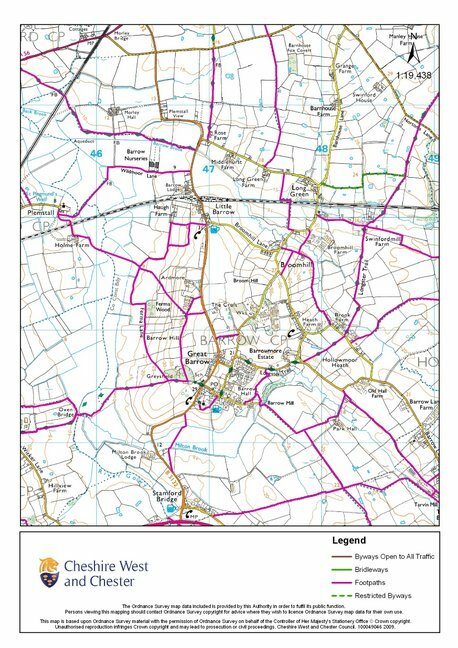 The Parish Council is the lowest tier of local government and provides services at local level. It is not organised on political lines.